Bachar Mar-Khalifé is a French Lebanese singer, composer and multi-instrumentalist.He graduated from the Conservatory of Paris and worked with conductors Lorin Maazel, James Gaffigan as well as with the Orchestre national de France and the Ensemble intercontemporain. He has collaborated on many projects that fuse jazz, world music, electronic and hip-hop with artists as diverse as Bojan Z, Carl Craig, Francesco Tristano, Murcof or Kery James. Born in war-torn Lebanon, he is the son of the legendary Eastern-Lute player Marcel Khalifé, and the Brother of Rami Khalifé (a member of the band Aufgang). Bachar has released two albums for InFiné until now, Oil Slick in 2010 and Who`s Gonna Get The Ball ... in 2013. 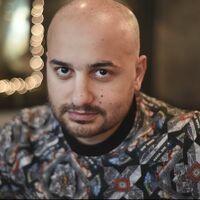 He’s composed soundtracks for various films such as Layla Fourie, directed by Pia Marais and praised in 2013 Berlinale as well as Fièvres by Hicham Ayouch praised in 2015 Fespaco.